Really ought to call the prop shop you are going to buy the prop from and ask them. Make sure they will swap it out if it doesn't turn the max RPM you want. Isn't rocket science, but if you pick the prop and it doesn't work, well you picked it didn't you? I figure you're asking about which brand, not what size--the prop mfr is going to support you with sizing information. A prop shop's opinion will also be driven by which props they have access to most easily or may profit from most readily. We ended up researching it a bit since the USA standard of a Michigan wheel wasn't going to work easily for us and decided to go with a Campbell Sailor propeller. Here's a link to our post on our own issues and decision process. bruntons autoprop, for best motoring fuel economy, expensive but look at them as investment, or maxprop, or J prop. 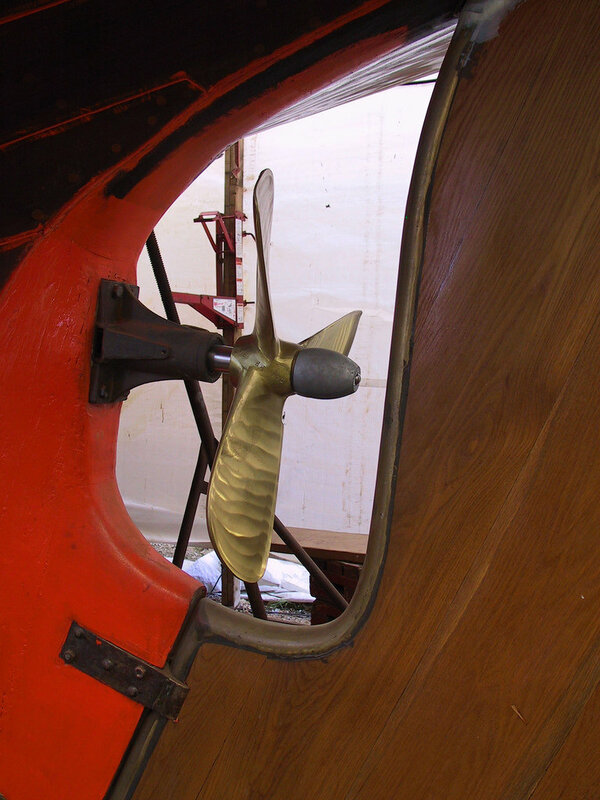 whats the brand of your actual propeller? is it feathering prop? Not sure of the make. It came on the boat and it is a fixed prop. And do you still want a fixed prop? Is it a 2 blade the actual one? So you want to go to 3 blade in lieu of 2 blade right? It will help in rougher water, but wont change anything really in flat water ...except better reversing power when docking. The Campbell sailor and Michigan mentioned above are both good. Assuming you want minimum expenditure and a fixed blade. You might find a used one. Yeah it is a two bladed fixed prop specs from the owners manual are 10"x17"x1". I am not sure what all three figures represent. 1" is the shaft dia. 17" the total diameter? but 10" is what? Reverse control would be welcome and any other benefits would cancel the negatives of additional drag. I don't so much care if I loose a 1/2 knot or so under sail. Not yet convinced to switch but in the formative stages over the winter months.